Let's face it. It's difficult to buy art online. You want to see it, touch it, make sure you're not being ripped off right? 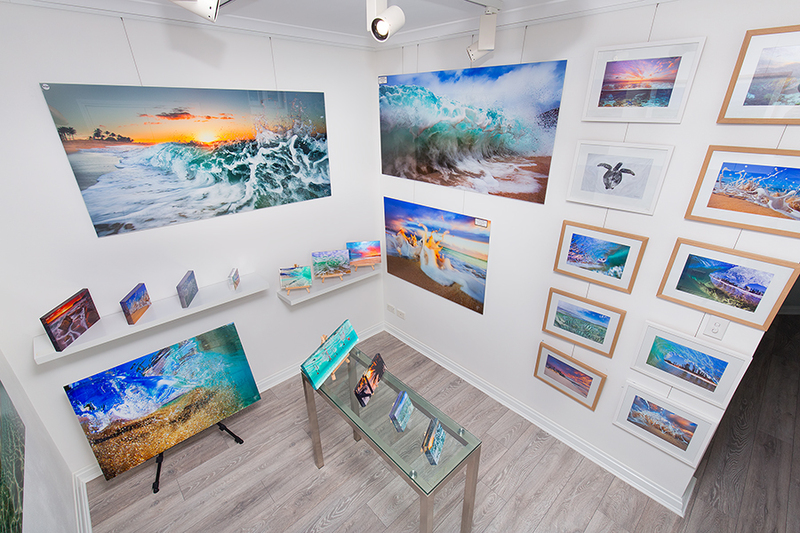 I exhibit my photography in Manly NSW so you can come and see the exceptional quality. My acrylic face mounts are top tier products. They are structurally superior to any comparable product. They have a 2mm dibond backing which basically means a very solid piece of aluminium keeps them rigid. Inferior products will bow over time. The images are printed on the highest quality metallic paper enhancing the colours, contrast and vibrancy. They have a "wow factor" that has to be seen to be believed. Contact me today for a viewing. If it's Ocean photography you're after I have you covered. If it's a gift for a loved one or a large piece for a bare wall at home. Acrylic mounts and blocks, stretched canvas prints and modern framed prints. I have not had a disappointed customer to date and I don't plan on having any in the future. Make an appointment to view my gallery. There's no obligation to buy. Just drop in for a browse and a chat. With smartphone technology, anyone with a sharp eye can take a good quality photograph and this is a positive thing for everyone. What I offer is 30 years experience in electronic media. My eye for detail and passion for imagery have been honed over time and I am always looking for a different angle. I use the best equipment on the market. My cameras have 50 megapixel sensors allowing for maximum detail, sharpness and resolution.